ACCELERATE FASTER. Best wet and dry traction vs. leading competitors. UltiGrip Technology: 1) Large, rigid tread blocks optimize rubber-to-road contact for ultimate dry grip. 2) Consistent tread block rigidity balances acceleration forces within the tire footprint. Performance Racing Core: ETEC System (TM) Equal Tension Containment System optimizes the contact patch for enhanced traction at speed. BRAKE SHORTER. Stops up to 15 feet shorter on wet roads and up to 5 feet shorter on dry roads vs. leading competitors. UltiGrip Technology: 1) Optimized rubber-to-road contact for ultimate dry grip 2) All-season compound designed for the best wet and dry grip. 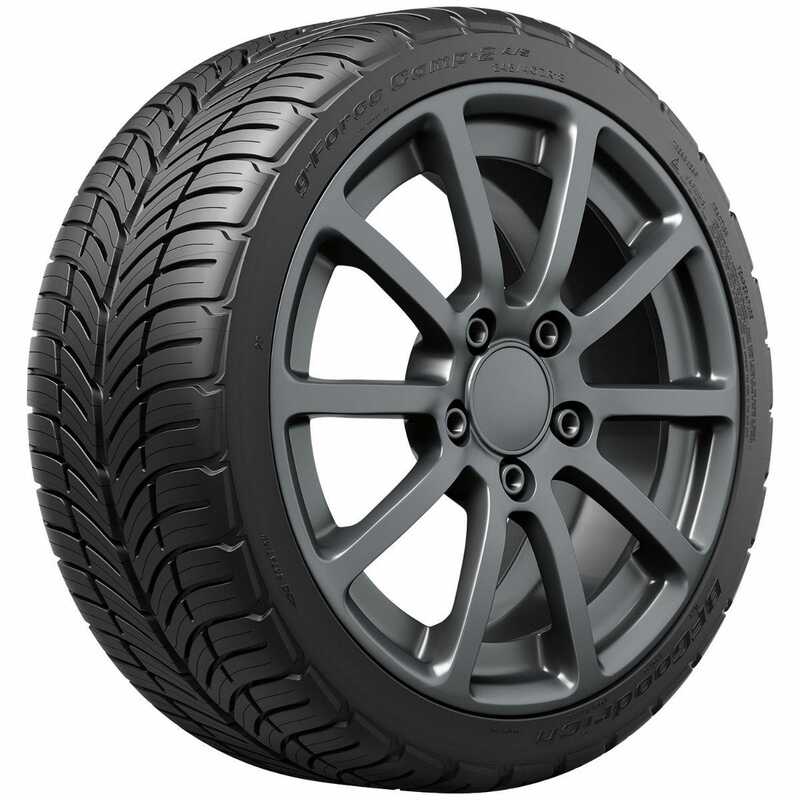 g-Force (TM) Tread: 1) Squared-off shoulder and enhanced contact patch shape evenly distributes stresses across the footprint. 2) Performance Tread Profile resists irregular wear typically associated with directional tread designs. CONTROL IN ALL SEASONS. Better snow traction than leading competitors. UltiGrip Technology: 1) High-silica, cold-weather flexing compound for best wet and dry grip and all-season traction. 2) V-shaped angled lateral and longitudinal grooves efficiently evacuate water for better wet traction. 3) High-lateral void with beveled biting edges and wide lateral grooves improve snow retention and adherence for greater mobility during winter. 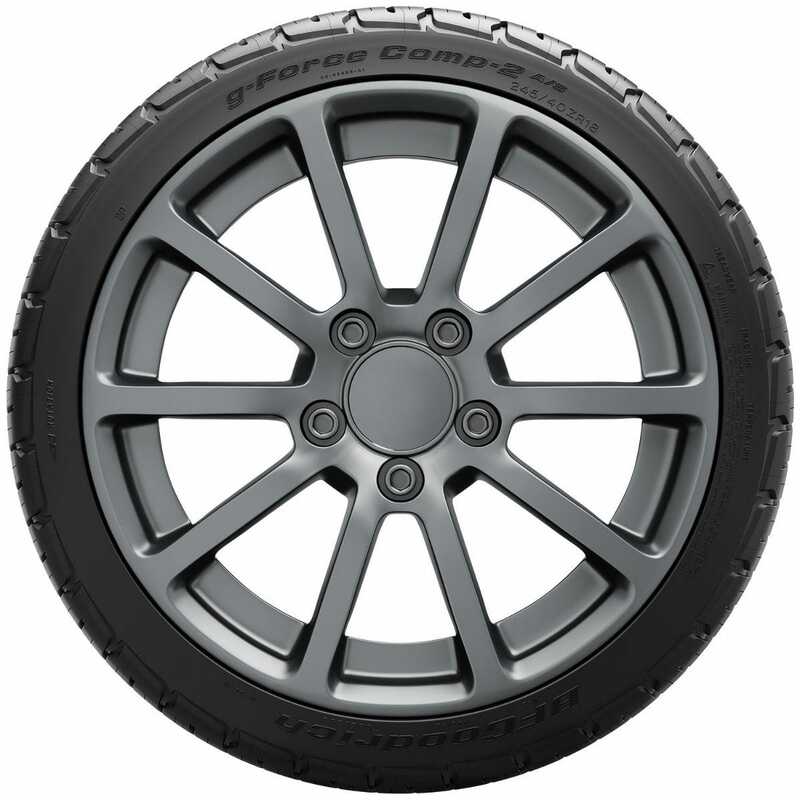 Dynamic Suspension System (DSS) is a reinforced internal structure that increases control while maintaining ride comfort g-Control (TM) Sidewall Inserts add sidewall stiffness to resist deflection for immediate turning response. 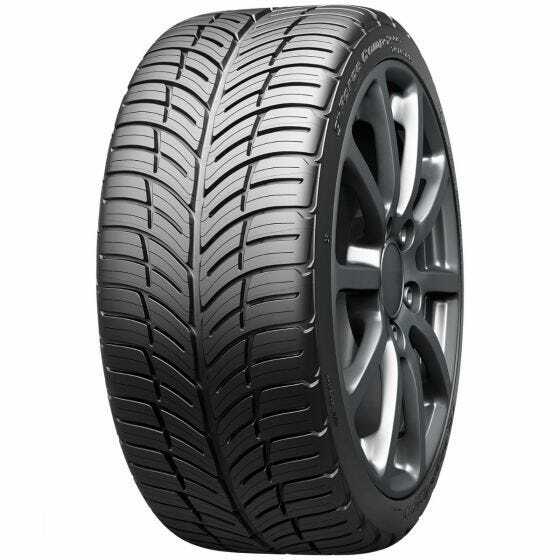 Performance Tread Profile for ultimate grip in hard cornering, and a bold performance look. BF Goodrich g-Force tires are dropped shipped when ordered. Please allow additional shipping time.